I wasn't sure what to expect from Blade Runner 2049 as a sequel to 1982's Blade Runner. The trailers didn't really say much in terms of what the film was about, and I'm not a huge fan of Ryan Gosling. (I have no justification for not being a fan, he's a good actor, and I really enjoyed his work in Nice Guys especially, there's just something hit'n'miss about him for me). Having now seen the film I can understand why the trailer doesn't reveal too much in terms of the plot, other than Ryan's character, Blade Runner, Agent K, has some need to locate Rick Deckard (Harrison Ford). Like director, Denis Villeneuve, I'm a fan of the 1982 film's theatrical version. Whilst I agree, the narration by Harrison Ford in that version is completely unnecessary, it does give you additional information about the Blade Runner world that you don't get from all the other versions - which don't have narration. That said, if you haven't seen the 1982 movie, then the updated Final Cut version (which the director says also influenced the new film) is most in keeping with the sequel in terms of style and presentation. I watched the Final Cut the day before seeing Blade Runner 2049 just to refresh my memory. That film completely holds up (except for the very specific dates if you're taking it as an actual future vision for our world - since we're living in the current time period of the original film). You could completely watch these two movies back to back and feel they were made a only few years apart. Which is a long way of saying Blade Runner 2049 perfectly captures the look and style of the first film. It feels very much like the same world, updated 30 years ahead. 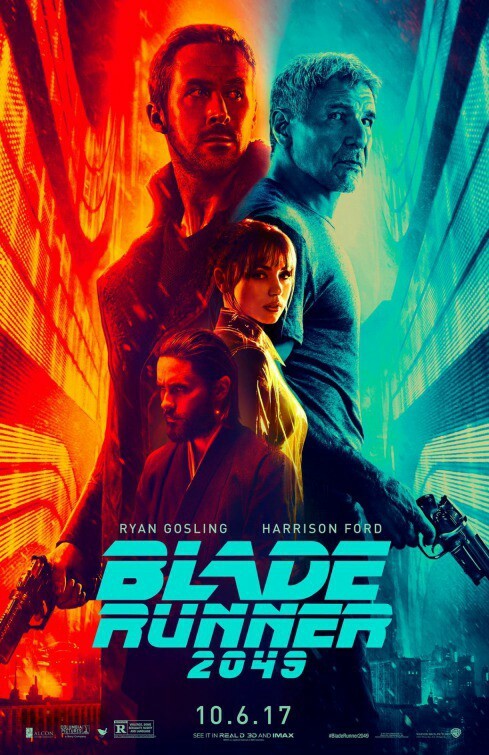 Even better is that 2049 expands upon the first film by opening up the city, and even getting out of it to other locations (that, not so surprisingly, aren't green fields, blue skies and mountain ranges shown at the end of the original's theatrical release). 2049 also brings with it a lot of new technology ideas that all feed into the ongoing idea of both films of what it means to be human. Some of it you'll see and wish they had that now. Blade Runner 2049 is much like the original in terms of pacing. It kind of strolls from place to place thoughtfully. There are certainly many good action sequences but that's not what this franchise is about. The original film is a classic because it wants you to think about questions that it doesn't really provide answers for. 2049 is as much of a discussion piece after you've seen it as the original. If you're a fan of the original, I can't see why you wouldn't like 2049. For me it truly is one of the best sequels of any film. Plus they've clearly left it at a place that could lead to another film in the series - to which I have the same reservations as I initially had here - this movie is just so good. Is the sequel going to be able to live up to it? They don't need to do a sequel but it's obvious certain plot elements lend themselves to one. I highly recommend seeing this film in a cinema if you can. It looks amazing on a big screen and you'll really get a sense of scale with some of the big holographic images seen in the trailer. Personally I can't wait to own this on Blu-ray - hopefully with a truck load of extras and behind the scenes, making of documentaries, like they did for the Final Cut.